Here is a short summary and overview of the various Futurion publications. Some of the headings are linked to short English versions of the each report. 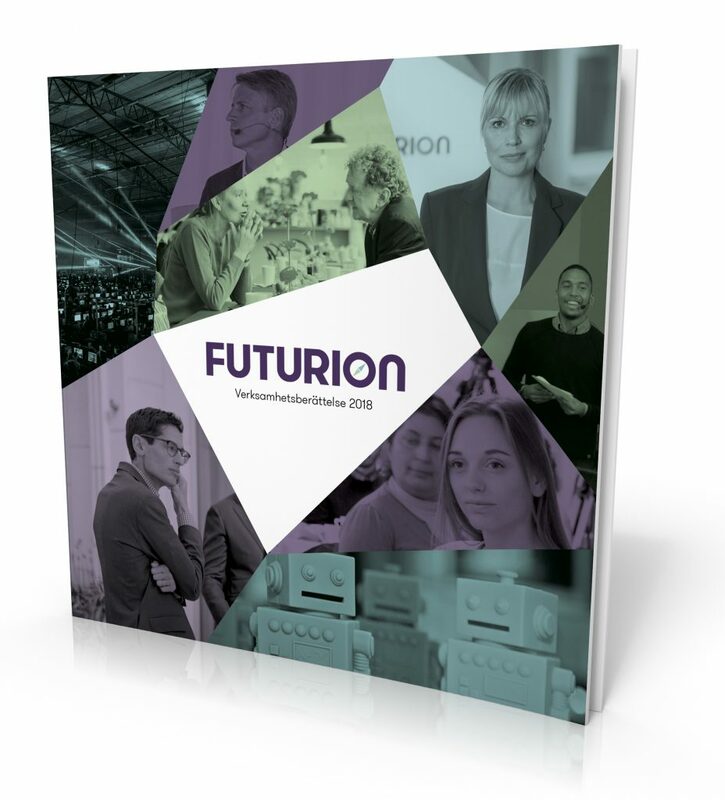 The third year of Futurion provided us with insights on, and more knowledge about, the challenges facing Swedish white-collar workers. Our ambition is to be a type of a future lab, creating ideas and finding solutions for our future work life. In addition, it is important for us to provide information on the Nordic model (SWE. “partsmodellen”) and explain the conditions for trade unions’ work and influence tomorrow. Another key issue is how our country will manage the Nordic model and reap the benefits of what has helped us historically to combine job conversion with security. This will be focus for the coming year, and we will ask the question “What’s the deal with the union?”. By shedding light on the topic and viewing it through different lenses, we hope to discuss the challenges ahead facing the Nordic model. The year of 2019 will definitely be one of constructive solutions to whatever issue we will encounter on our way forward, leaving behind us the past period of political turbulence. Futurion is looking forward to meeting and engaging with others through talks and is charging to gain more insights with the aim to set the best foundation for future work life. 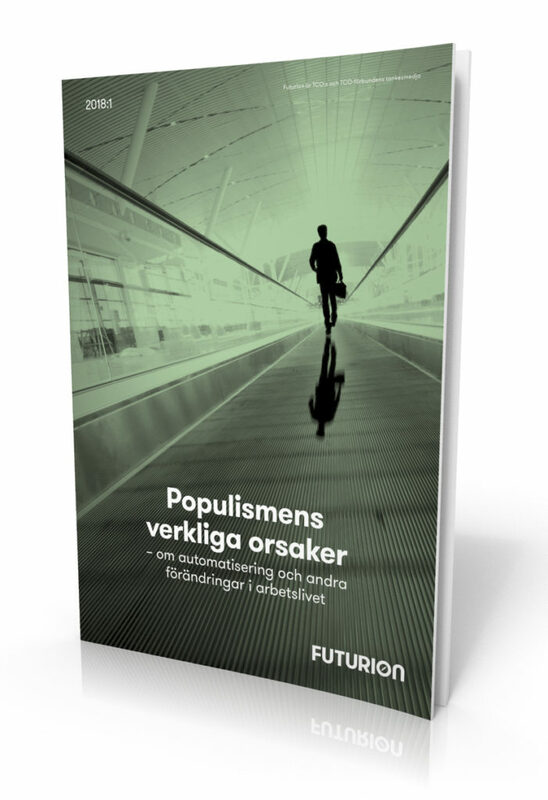 Futurion’s report confirms that there is a clear correlation between concern among people about what is happening in the labour market, for example the risk of unemployment, and being drawn towards various populist movements.In view of this, the ongoing process of automation may be one important explanation for the increased level of support for organisations such as anti-immigration parties in Sweden and in other countries. The fact that automation and other changes at the workplace have consequences that we do not always find desirable does not mean that we can stop a trend that is largely positive. But we must manage it and create faith in the future and trust in our systems so that people embrace rather than fear these developments. This represents a challenge for both politicians and social partners. The report was written by Carl Melin, Research Director at Futurion. 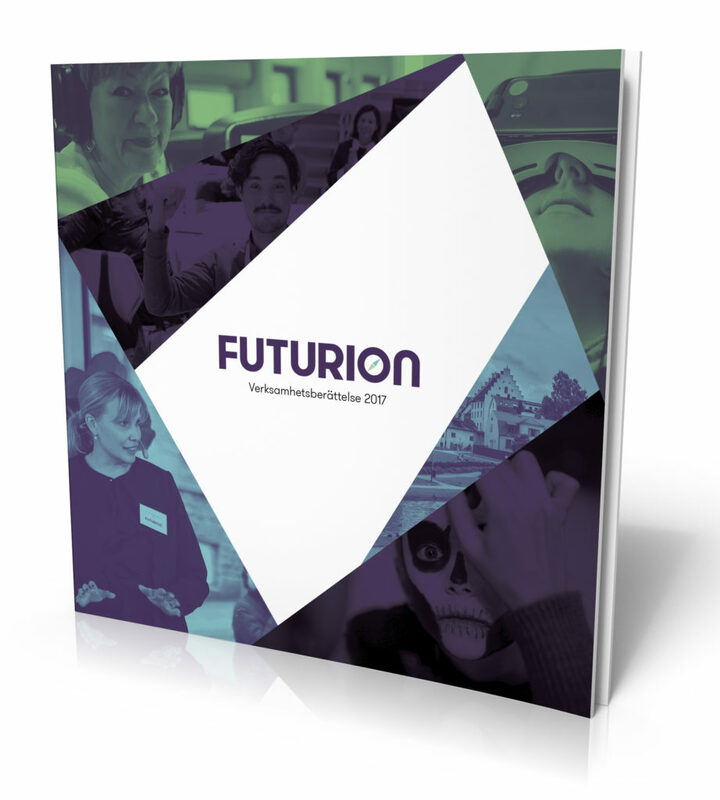 Futurion’s Annual Report for 2017 is now available. Two years have passed since TCO and the 14 TCO trade unions launched the think tank. Our mandate is to identify and analyse the challenges facing professional employees in Sweden. “Two years have passed since TCO and the 14 TCO trade unions launched the think tank Futurion. And our mandate is to identify and analyse the challenges facing professional employees in Sweden. One of the biggest challenges of our age is to manage the digital transformation. How do we meet the skills development needs? What do we need to learn and know in an increasingly robotised workplace? These are questions that we have had on our agenda during the year and that have characterised our activities in everything from reports and seminars to hackathons. In order that the debate on Sweden can be based on facts rather than opinions, Futurion commissioned Professor Jesper Strömbäck to investigate and analyse how Sweden really performs in various comparisons. How good is Sweden really? Regardless of whether or not we are proud of our country, there are reasons to give some thought to what makes our country special, what is good, what is less good and what should be changed. In order that the debate on Sweden can be based on facts rather than opinions, Futurion commissioned Professor Jesper Strömbäck to investigate and analyse how Sweden really performs in various comparisons. There are a large number of indexes that compare different countries. The international organisations that produce these take care to ensure that all countries are compared in the same way. This makes it possible to see which countries are performing better than others, without taking a view on the politics of the different countries. All in all, the reportMellan skönmålning och svartmålning – Sverige i en internationell jämförelse [Between idealisation and demonisation – Sweden in an international comparison] shows that Sweden is performing very well. Sweden is one of the freest, most democratic countries in the world. In comparison with other countries, we also have a good business climate and a labour market model that in many ways works well and facilitates growth and innovation. The analysis shows at the same time that there are areas with potential for improvement. We at Futurion hope that the report will contribute to the discussion if Sweden’s development and future challenges become more knowledge-based. The report was written by Jesper Strömbäck, Professor of Journalism and Political Communication at the Department of Journalism, Media and Communication (JMG) at the University of Gothenburg. He has been a visiting professor at the University of Zurich and the University of Florida. In the years 2011-2013 he was general secretary and chief of staff at the government’s Future Commission at the time. Jesper Strömbäck is also a member of Futurion’s Board. 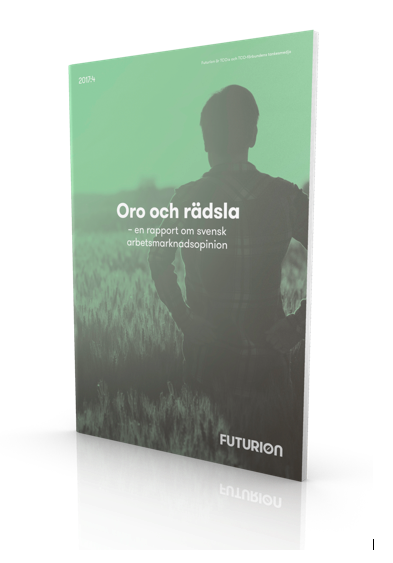 In Oro och rädsla – en rapport om svensk arbetsmarknadsopinion [Concern and fear – a report on Swedish labour market opinion], we report the results of the survey on Swedish labour market opinion. It shows, among other things, that there has been a strong shift in the belief that technical developments are creating jobs. Major changes take place all the time in the workplace. Technical development, education, globalisation and demographic changes are just some of the factors of major significance. But the impact is also going in the other direction. Our work and the way it is organised is of tremendous significance for our lives and therefore also for our values, attitudes and behaviour. It is therefore not possible to study the workplace in isolation. In Concern and fear – a report on Swedish labour market opinion [2017:4] we report the results of the survey on Swedish labour market opinion. It shows, among other things, that there has been a strong shift in the belief that technical developments are creating jobs. The perception shifted dramatically during the 2000s. Swedes do not believe to the same extent as before that new technology is resulting in more jobs. There is a broad belief among politicians and social partners that new technology is good for Sweden and for jobs. A view that does not appear to be shared by the rest of the population. Another area covered in this report is stress, which has developed to become a major public health problem. It is also something about which many Swedes are concerned. Concern about stress at the workplace is at the same level as concern about the housing shortage and organised crime. Being concerned about stress at the workplace is stressful in itself and risks turning into a vicious circle in which the stress level rises constantly. 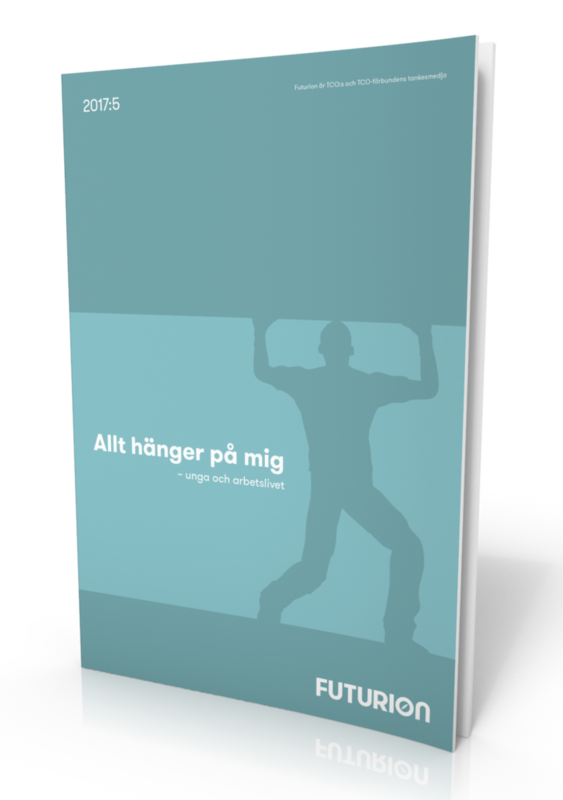 Allt hänger på mig – unga och arbetslivet [It’s all down to me – young people and the workplace] is the telling title of a new report from Futurion, based on focus groups with young people making their way into work. A picture emerges of a generation assuming responsibility with a view that the work environment, employment conditions and a sustainable career are all down to them. A fixed job provides security, as it provides an opportunity for a mortgage and a key to adult life. The balance between work and leisure is important, but is entirely up to young people to sort out it for themselves. There is a major reality gap between school and work. Can the manager be an app? Go from pyramid to platform. Share the talents. Robotise management and let the human manager be a leader. 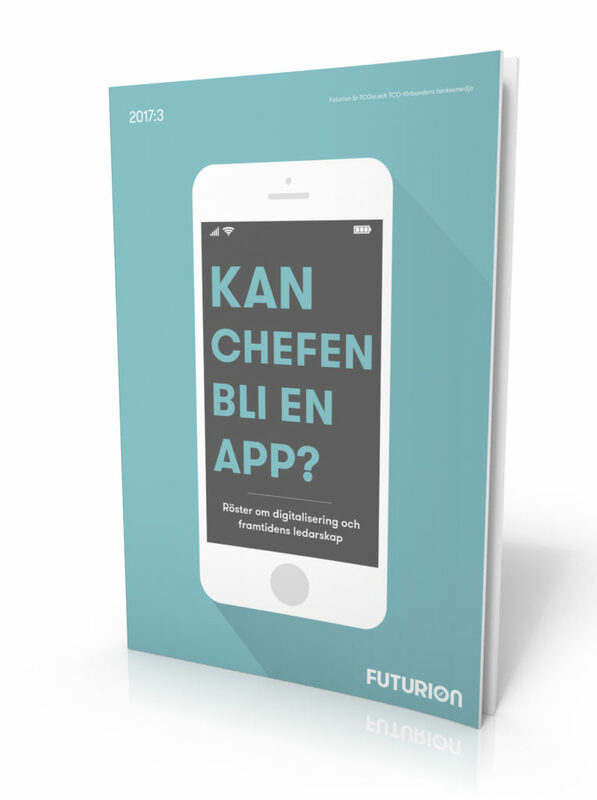 That is the summary of the insights from Futurion’s new paper Kan chefen bli en app? [Can the manager be an app?]. In Futurion’s report Can the manager be an app?, six experts on leadership have their say on digitalisation and leadership in the future. The picture that emerges is that there will be no less need for both creativity and decision-making ability, but that it should be possible to digitalise and rationalise the time-consuming administrative elements of management. Go from pyramid to platform – utilise digital technology to create less hierarchical organisations. Robotise management and let managers be leaders – digitalisation makes us into better leaders. And managers. Share the talents – with digitalised platforms, more people can do what they are really good at, in more places, at the same time! The report was written by Sandra Adams-Backlund. 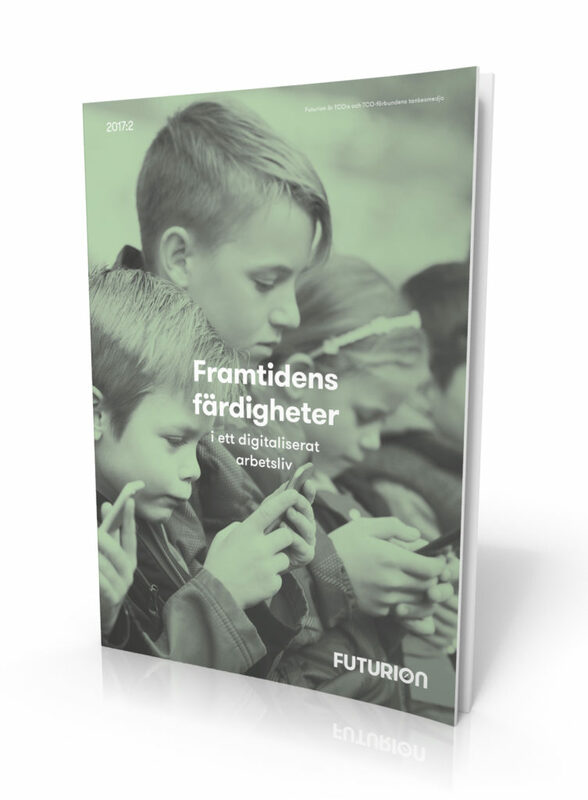 The report entitled Framtidens färdigheter – i ett digitaliserat arbetsliv [2017:2] [Skills of the future – in a digitalised workplace] shows that the automation of monotonous jobs is nothing new. Historically, it has been the rule rather than the exception and is therefore not something that appears threatening to us any more. It is instead artificial intelligence, machine learning and a totally new generation of robots that are now challenging us. If the machines can teach themselves, and to think and feel – what will be left over for us humans? This report is a summary of research findings into automation and unique human skills. But anyone looking for simple training manuals risks being disappointed. In an increasingly digitalised and automated labour market, it is more important that we are flexible and constantly learn new things, than trying to find courses that lead to jobs that do not yet exist. We need to keep learning throughout our whole lives – at school, at work and in our leisure time. The report offers a couple of pointers to what we should focus on. The report entitled Egenanställningar – den svenska partsmodellens ingenmansland (2017:1) [Self-employment – the no-man’s land of the Swedish Partner Model] investigates the terms and highlights many challenges facing social partners. The risks include increased vulnerability, partly when it comes to how many income-generating assignments will be on offer in future, and partly in terms of how and whether the individual would qualify for unemployment benefit or health insurance. Regulations and security need to keep up with developments. The report shows that self-employment is most common in the media, theatre, TV, films, other culture, handicrafts, care, health, beauty, construction and cleaning. The reasons for becoming self-employed vary. One reason might be to test a business concept or to combine employment with an interest or a sideline. It may also be that the regulations relating to starting up your own commercial business are perceived to be far too complex. The report was written by the writer and investigator Mats Wingborg. 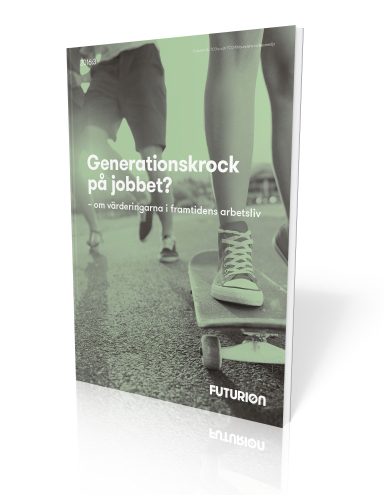 The report entitled Generationskrock på jobbet? – om värderingar i framtidens arbetsliv (2016:3) [Generation clash at work? – values in the workplace of the future], presents surveys from some of the biggest actors, both Swedish and international, relating to young people’s values. The purpose is to paint a broad picture of the values that will affect the workplace of the future and thereby offer a glimpse of possible future scenarios at workplaces. The report deals with areas such as new ways of learning, driving forces at the workplace, attitudes towards the role of the manager, the need for a balance in life and how companies’ values are becoming increasingly important in the young generation’s choice of career. 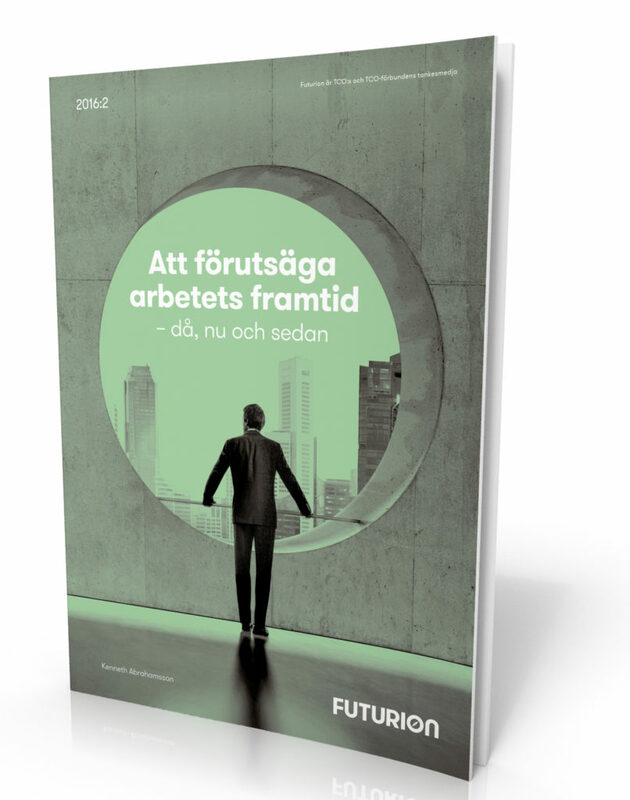 The report entitled Att förutsäga arbetets framtid – då, nu och sedan (2016:2) [Predicting the future of work – then, now and next] provides an overview of both Swedish and international forward studies. There is no linear development or cohesive report about work in the future, which is because of the difficulty in predicting the unexpected (and because many studies highlight what is desirable ahead of what it possible). It is even more difficult to capture slow shifts in lifestyles, preferences, structures and institutions. The pictures painted of the workplace of the future are therefore characterised by a high degree of uncertainty. But we do know that automation, globalisation and the demographic trend are to a large degree having an effect on the workplace. This will in turn have consequences for social partners. Issues such as a reasonable workload, technological development, skills development to meet the future and leadership-related issues will be dominating the social agenda for many years to come. The report was written by senior lecturer Kenneth Abrahamsson. 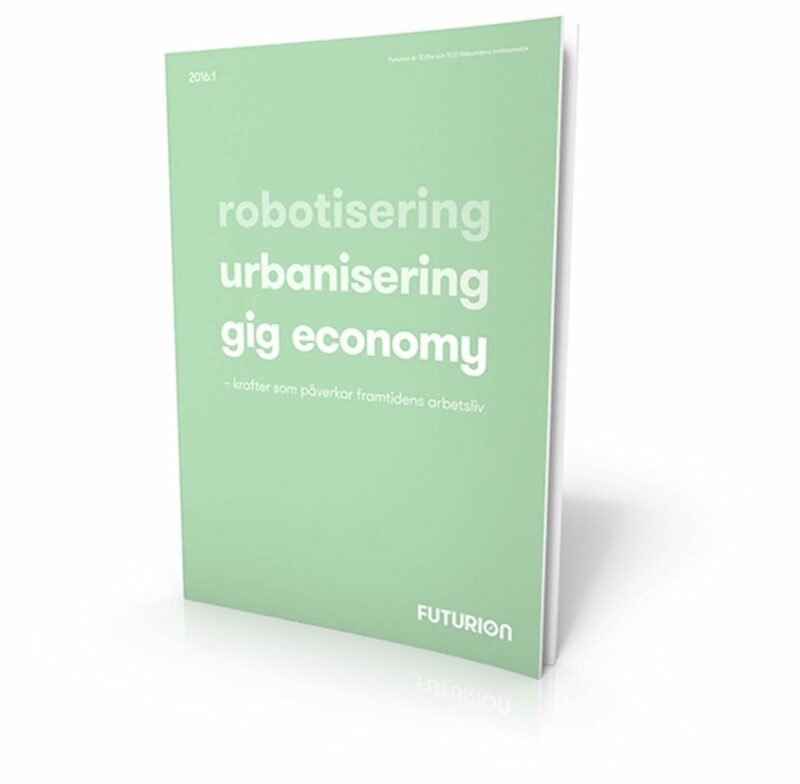 The report entitled Robotisering, urbanisering, gig economy – krafter som påverkar framtidens arbetsliv (2016:1) [Robotisation, urbanisation, the gig economy – forces affecting the workplace of the future] presents the impact that digitalisation is having on the labour market. Increasing robotisation and automation that both create jobs and render them obsolete. As well as globalisation’s force for change, which combined with new business models and increased requirements for flexibility has resulted in a shift from employee to freelancer and an emerging gig economy. The intention of this report is not to provide answers, but to present a starting point for additional discussions and studies. We need to know what is creating and driving change and what we need in order to influence developments.